Hough created a sound that was pure and translucent, with masterful use of pedals to help accentuate the contradictions between movement and stasis, and the most feather-like of touches that oozed quality. Why See Colorado Symphony Orchestra - Tchaikovsky Symphony No. 6? The Colorado Symphony welcomes the return of world renowned Canadian violinist and conductor Peter Ounjidian, who leads the ensemble through a rousing program of Tower, Saint-Saens and Tchaikovsky. A piece filled with gentle patriotism and the strains of American folk song "America The Beautiful', Joan Tower's Grammy-winning Made In America kicks things off. It was first performed in 2005 and chronicles the composer's relationship with her homeland, from ominous aural stretches of uncertainty to triumphant, affirming moments. 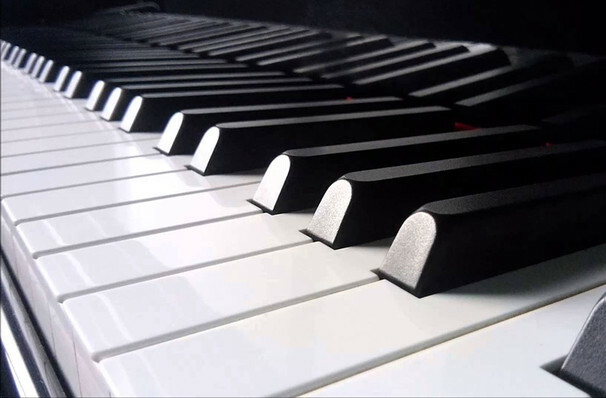 This is followed by Camille Saint-Saens' Piano Concerto No. 5 AKA 'Egyptian', during which a special guest in the form of British-born Australian pianist Stephen Hough takes to the stage to bring its its exotic, angular melodies to life with his nonchalant yet assured virtuosity and powerful key touch. The evening comes to a close with Tchaikovsky's last ever completed work, Symphony No. 6. One of the definitive works of the romantic periods, its soul-stirring emotion and moving lyrical genius is often overshadowed by the composer's untimely death just nine days after its premiere in 1893. Sound good to you? Share this page on social media and let your friends know about Colorado Symphony Orchestra - Tchaikovsky Symphony No. 6 at Boettcher Concert Hall. Please note: The term Boettcher Concert Hall and/or Colorado Symphony Orchestra - Tchaikovsky Symphony No. 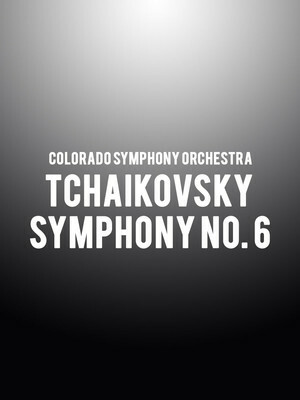 6 as well as all associated graphics, logos, and/or other trademarks, tradenames or copyrights are the property of the Boettcher Concert Hall and/or Colorado Symphony Orchestra - Tchaikovsky Symphony No. 6 and are used herein for factual descriptive purposes only. We are in no way associated with or authorized by the Boettcher Concert Hall and/or Colorado Symphony Orchestra - Tchaikovsky Symphony No. 6 and neither that entity nor any of its affiliates have licensed or endorsed us to sell tickets, goods and or services in conjunction with their events.